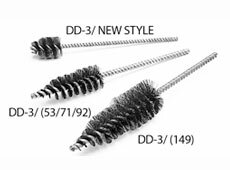 Brush Research Manufacturing offers overhaul automotive brushes for oil line and gallery, as well as valve guides and crankshaft oil holes. 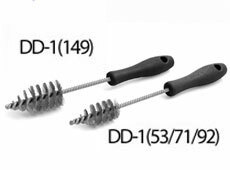 Using these automotive brushes to clean critical surfaces can reduce the time required for quality diesel engine overhaul and maintenance. 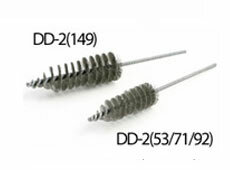 For more information, or to order your automotive brushes, contact the nearest distributor. DD-1 (149) .006" SS 1.400 2 3/4" 10 1/2"
DD-1 (53/71/92) .006" SS 1.000 2 3/16" 10 1/2"
DD-2 (149) .006" SS 1.625 4 3/4" 10"
DD-2 (53/71/92) .006" SS 1.200 3 3/4" 10"
DD-3 (149) .012" C/S 1.675 5" 10"
DD-3 (53/71/92) .012" C/S 1.300 3 5/8" 10"
DD3-N .006" C/S 1.750 1 5/8" 8 1/2"